What is "Make an Offer"? If you would like to price-match a product or would simply like to get a better deal... make an offer. 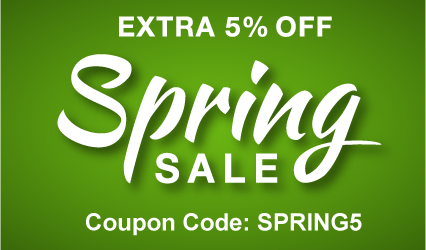 If we agree, a coupon code will be forwarded to you within an hour. All offer coupons expire after six hours. You are under no obligation to purchase anything while "making an offer". * UrnShopper.com, LLC does not store or sell your personal information to anyone else nor do we use it for any purpose other than for what it is intended. The Felinicity pet cremation urn is crafted using a special crushed marble resin, pioneered in the English Cotswolds. 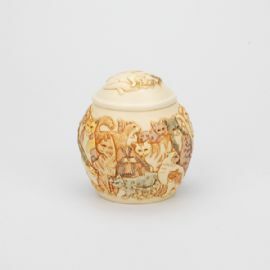 Carved with graceful bas-relief cat designs, this elegant and imaginative cachepot has a warm ivory look and feel. Every piece is hand-tinted, lending each urn its distinctive character. Many people consider their pets to be members of the family. The daily rituals of making sure they have enough food and that they are staying out of trouble might seem like a big job at first, but eventually we find that they take care of us just as much as we take care of them. We talk to our pets every day and we become good friends, just as we would with another person. So when a beloved pet dies, it's not unusual to feel overwhelmed by grief. Pet cremation urns are specifically designed to hold the ashes, or cremated remains, of a pet. They are much more than smaller versions of regular-sized urns. Pet urns often have paw prints or other warm and comforting designs on them to help you remember all the fun times and adventures you've shared together.